The BBCat story starts shortly after CatVert left to take up residence in its new home. Now Cougarless, I started thinking about what would come next. Over the past 30 years of collecting, I haven’t really been a brand loyalist and at various times have had Cougars, Mustangs, Camaros, Corvettes, Torinos, Impalas, Austin-Healey’s, Pontiacs, and MG’s. 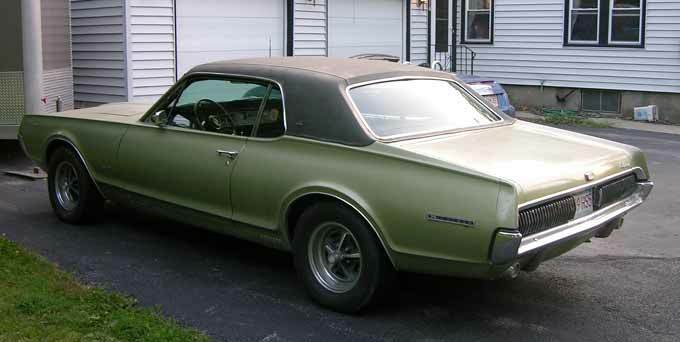 I thought about looking for a Torino GT convertible because I had fond memories of the S-code 1968 Torino GT formal roof I had when I was in the Navy. The problem I kept running into was that I didn’t really want to leave the Cougar community. 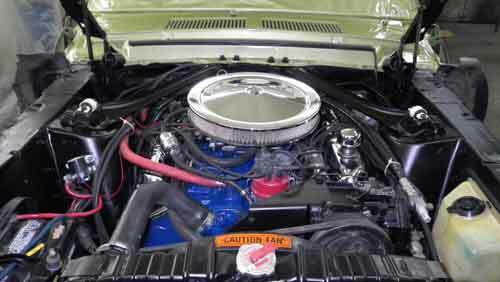 Then it dawned on me – pay homage to the Torino with a Cougar XR-7 GT! That would allow me to have the 390 in a package I liked and stay within a community I’d come to value enormously. With that decision made, I turned to eBay and Craigslist in the spring of 2010. 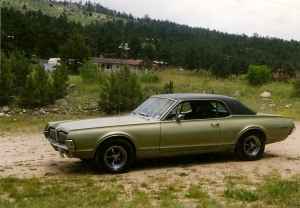 I quickly spotted a 1967 XR-7 GT in Loveland, Colorado with all the required options and appearing to be very solid and original. It had two strikes against it, though. It was priced well above the ceiling I’d agreed to with my wife and it was a very faded Lime Frost. I kept looking. By late May of 2010, I’d seen the price of the Lime Frost car come down several times and I hadn’t seen anything else pop up that had the right mix of options. 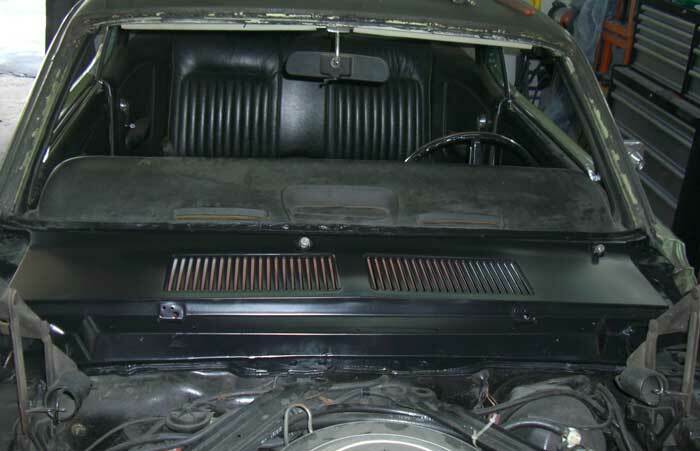 I also started to consider that the Torino had been Lime Frost with a black vinyl top and I’d always liked the look of that combination. I kept looking but decided to keep an eye on the Colorado cat. In early June, the price dropped again, this time into a range that offered the prospect of being able to negotiate a deal within the target price ceiling. With that, I called the seller. 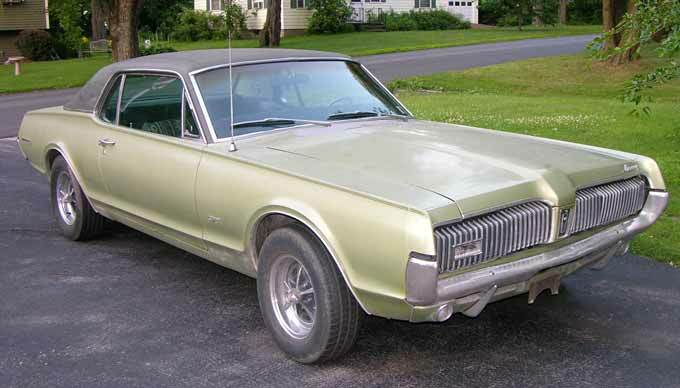 It turned out that the seller, had another Cougar that he was keeping – a W-code GT-E. 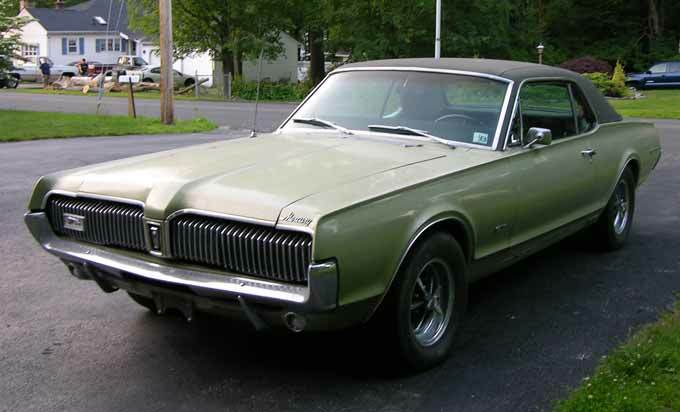 He was also known to members of the Cougar forums through the registries so I began to feel that this was the right car from the right person. I asked him to test the cowl and send me pictures of specific locations around the car to make sure that it was as solid as represented. As it turned out, it wasn’t. 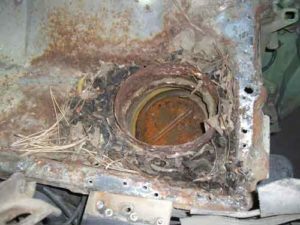 The seller called me back and told me the cowl leaked and that had so upset him that he’d gone through the car with a fine tooth comb and found a couple other areas with rust. 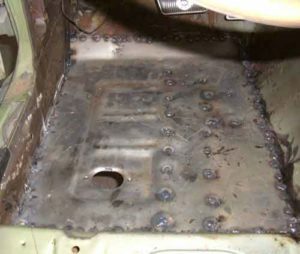 The trunk area also had some minor rust-through and there were rust issues around the rear window. Based on his findings, he invited me to make him an offer since he now realized the car was priced too high for its actual condition. We agreed on a price several thousand below what he had already come down to and the deal was done. BBCat was coming to Massachusetts. I immediately got it registered and started driving it. I discovered that the tires were dry-rotted and really needed to be replaced. The engine ran strong and the car shifted well, but the transmission leaked, so the first orders of business became new tires and wheels plus taking care of the transmission leak. For the tires and wheels, well, I’m in that business so I ordered a set of 15″ Cragar SS wheels from one of my suppliers and a set of BFG T/A Radials from another. 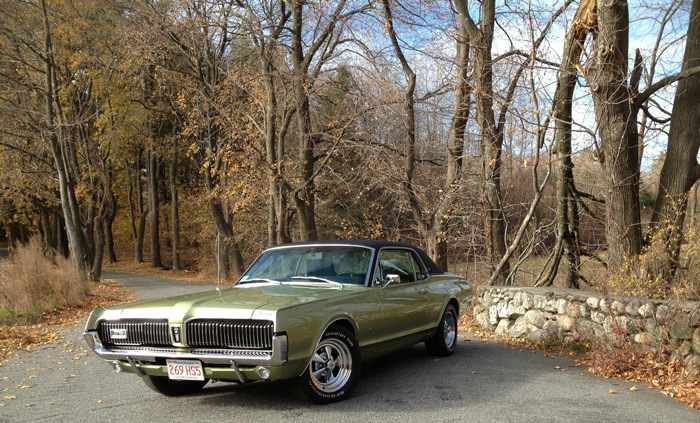 For the transmission, I loaded the Cougar into my trailer and made the 2.5 hour trek out to Berkshire Transmission in North Adams, MA because it is owned by fellow Cougar enthusiast Mark Piechowski. Mark discovered that the case on the C6 was cracked so it was replaced with one he had on hand. At the same time, the transmission got routine servicing and new seals. A week or two later, I went back out and retrieved the Cougar from Mark’s care. 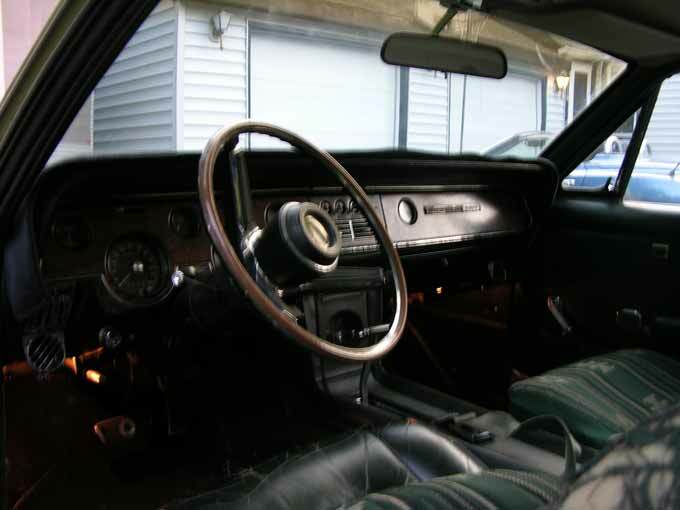 The interior was rough but serviceable and everything worked. 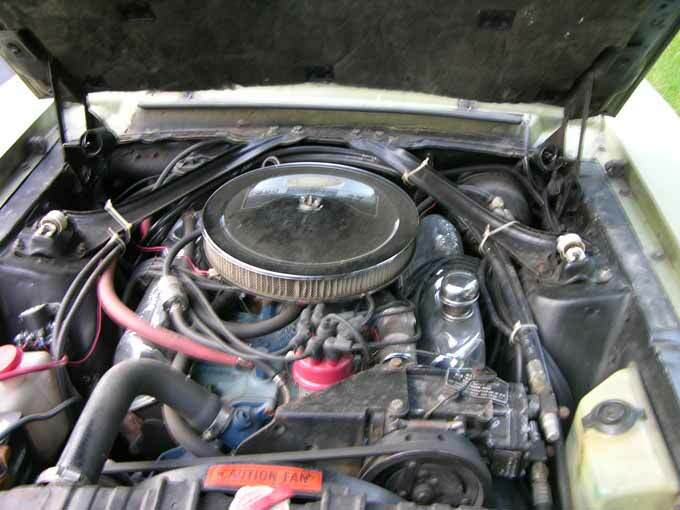 The engine ran stromg and had no issues other than the leaks one might expect with a car this age and condition. In short, it would make a good driver until I got around to doing the restoration project. I also wanted to get the cowl fixed before anything else was done. In August, BBCat went to my long-time friend and car restorer Dave Croteau for the repair. Dave found the cowl area filled with pine needles and the hats badly rusted out. In fact, Dave pulled the passenger side hat off the cowl with just his bare hands and not much effort. 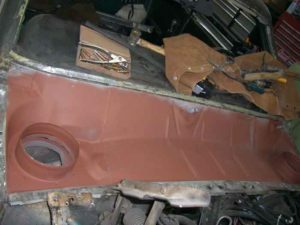 Of course, a rusted cowl means rusted front floors so those were fixed at the same time. 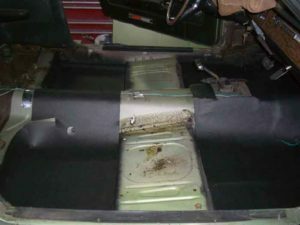 With the cowl and floors fixed, the plan was to just drive the car for a couple of seasons before doing any further restoration and so that’s what I did through the rest of the summer. 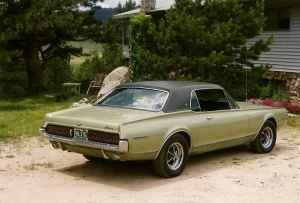 In October, Dave stopped by and asked me when I was planning to restore the Cougar. He’d been laid off from his job as service manager at a dealership and was reaching the end of his unemployment insurance. He wondered if I’d be willing to do the restoration earlier than planned as a way to help him try switching to full-time restoration work. After some discussion, we decided to go ahead and BBCat went to Dave’s place on Thanksgiving weekend of 2010. 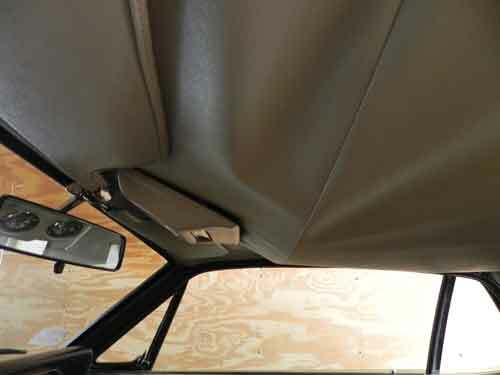 Dave stripped the car down and discovered that a prior dealership or aftermarket shop had butchered the installation of the trim pieces for the aftermarket vinyl top that was on the car. 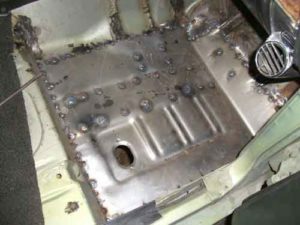 There were probably 3 or 4 times the number of holes in the car that the trim required for mounting and few of them were directly in line with adjacent holes. 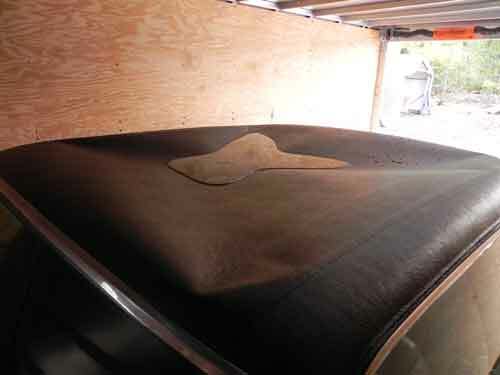 The Marti Report for BBCat showed that it was not originally a vinyl top car so we considered leaving the vinyl top off. In the end, we decided that the car would look better with one and it would save hours of reworking the C-pillar and trunk filler panels to get those holes perfectly repaired. 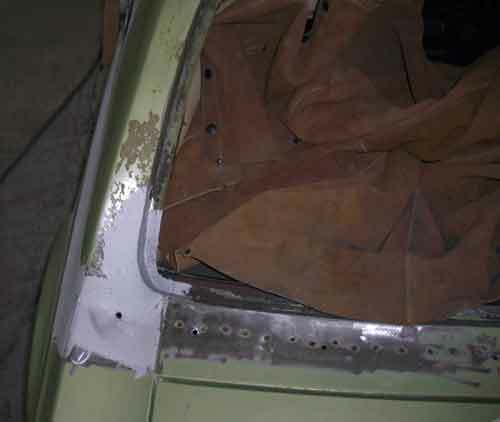 What you see in the picture above went all the way across the trunk filler panel and around both C-pillars. While Dave was dealing with the main body of the car, his son (Dave Jr.) detailed the entire grille and tail light assemblies. 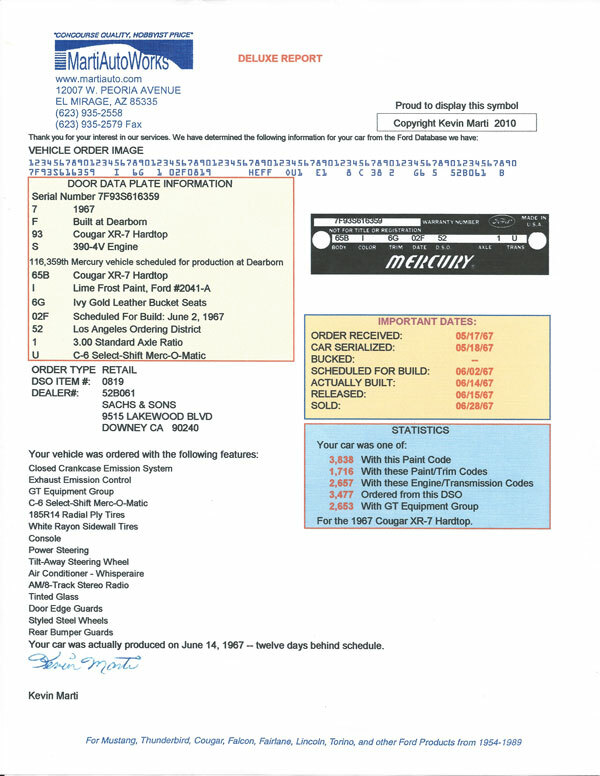 I kept the WCCC phones ringing with orders for trim pieces and emblems, even getting the last two GT fender emblems in stock on a “must-ship-today” basis. 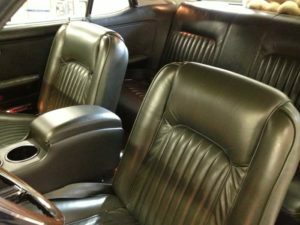 I also bought new leather upholstery for the front buckets from John’s Classic Cougars along with rechromed bumpers. 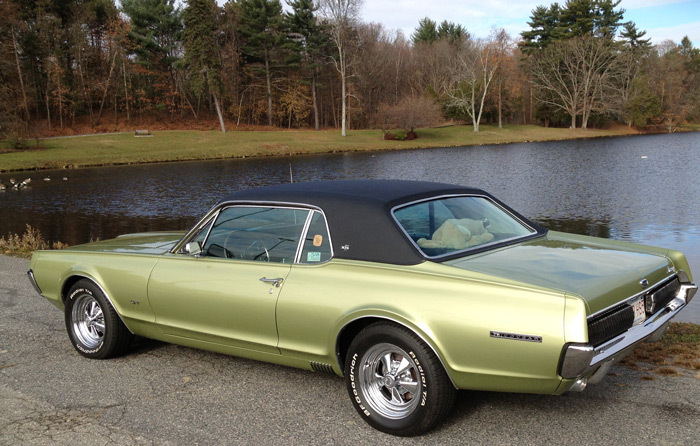 By February of 2011, BBCat was fully restored and made its debut at the Cougar Club of New England season opener in May, just one year after I contacted Bruce to start working out a deal. At that event, a club member noted a significant power steering leak as I was turning the car back into the garage so off it went to a local shop that I trusted to do the work quickly since I was scheduled to go to Carlisle in just a couple of weeks. 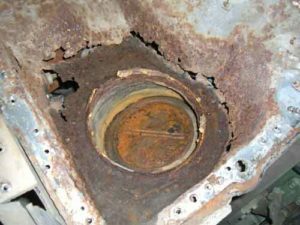 Well, it turned out that just about the entire system was riddled with leaks now that the car was being driven regularly again. The shop also noted that the lower control arm on the driver side was very loose, so we ended up replacing all of the power steering components except for the pressure hose and rebuilding the front end. With no time to spare, a local tire shop with an alignment tech that knows these cars did the alignment. BBCat now drives straight as an arrow with very little on-center play in the wheel. 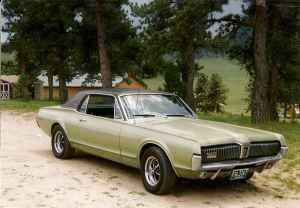 In June, it went to All-Ford Carlisle, followed by the Cougar Nationals in July where it won a 1st Place class award. 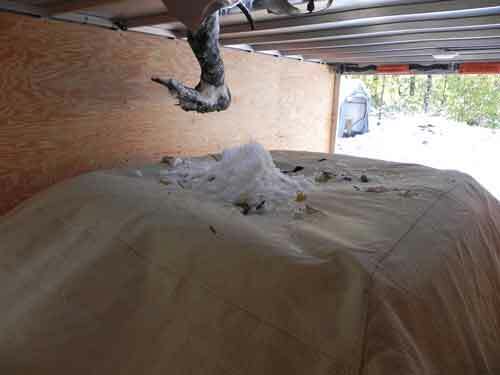 After a full season of shows, BBCat was tucked into its trailer garage and put under cover for the winter. Then came the now-infamous Halloween snow storm. This was a freak early storm that dumped a foot of wet snow on trees that had not yet lost their leaves. For many of them, the accumulated weight proved too much and our yard was no exception, unfortunately. Near the top of one of our trees, a large branch broke off and came down like a spear. It struck the trailer directly between two roof supports and drove straight down into BBCat, buckling the roof. Insurance follies ensued, but by Thanksgiving the car was back in Daves shop. Fortunately Dave was able to save the roof with careful use of a Porta-power. A new vinyl top was ordered, this time from SMS, and installed by New England Trim. By early March, BBCat was back in show condition. 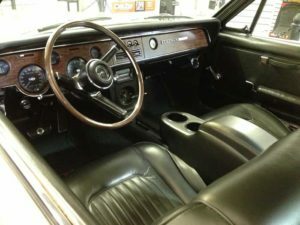 I took advantage of the situation to have the window frames rechromed, the steering wheel restored, the dash bezels rechromed and everything reinstalled. As a result, BBCat emerged from its second round of restoration work in even better condition. By July, BBCat had earned its third trophy and the second since the storm damage. The second trophy was a 2nd place class finish at Carlisle (I was runner-up to a survivor Hertz XR-7G). 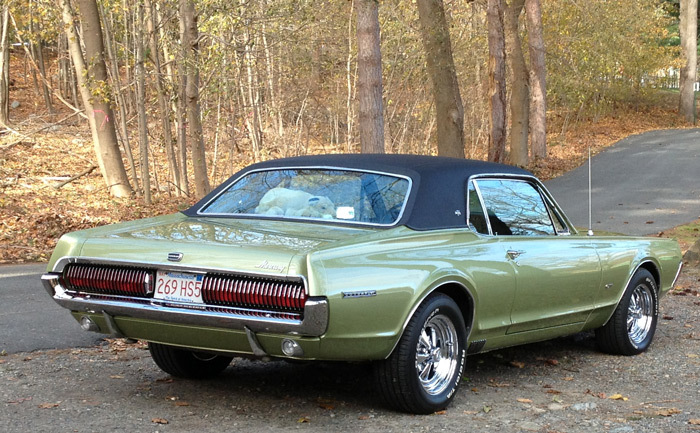 The third trophy came at the New England Cougar Club All-Ford show at Mustangs Unlimited. BBCat no longer spends its idle time in the trailer or in the garage at home. In February of 2017, I sold it to a new home in Los Angeles where it spent the summer months before moving on to another new home in Norway. The new owner in Norway is a friend of a friend, proving just how small the world can be at times. It has a nice new garage to spend the cold months in and some very knowledgeable and capable Cougar fans to take care of it.